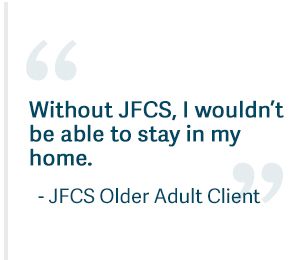 Older adults tell us time and again: “I just want to stay in my own home.” We understand. And we offer many kinds of financial assistance that can help our older population age in place. Because everyone is different, Jewish Family and Children’s Service of Greater Philadelphia can provide financial help for something as simple as a medication or as complex as professional, coordinated care. The Hebrew Free Loan Society of Greater Philadelphia provides interest-free loans to Jews in our community. Personal and Business loans are available. For more information, visit www.hflphilly.org.